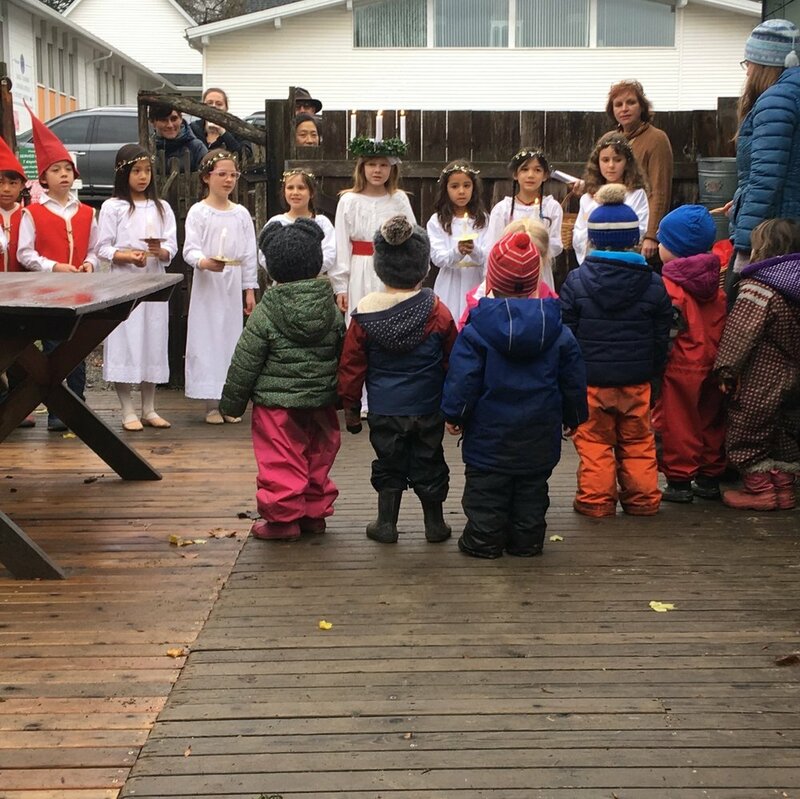 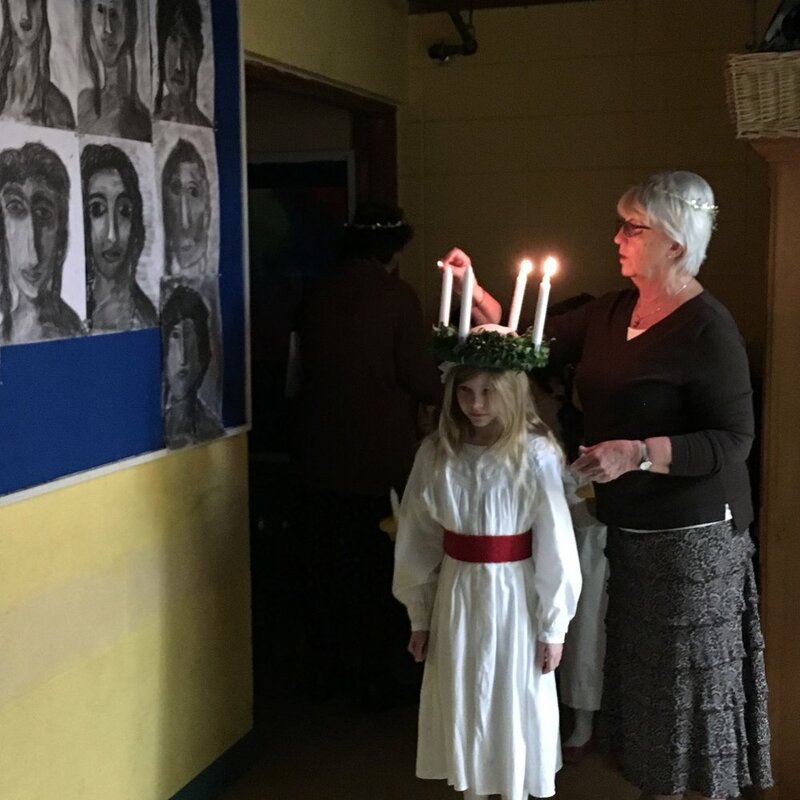 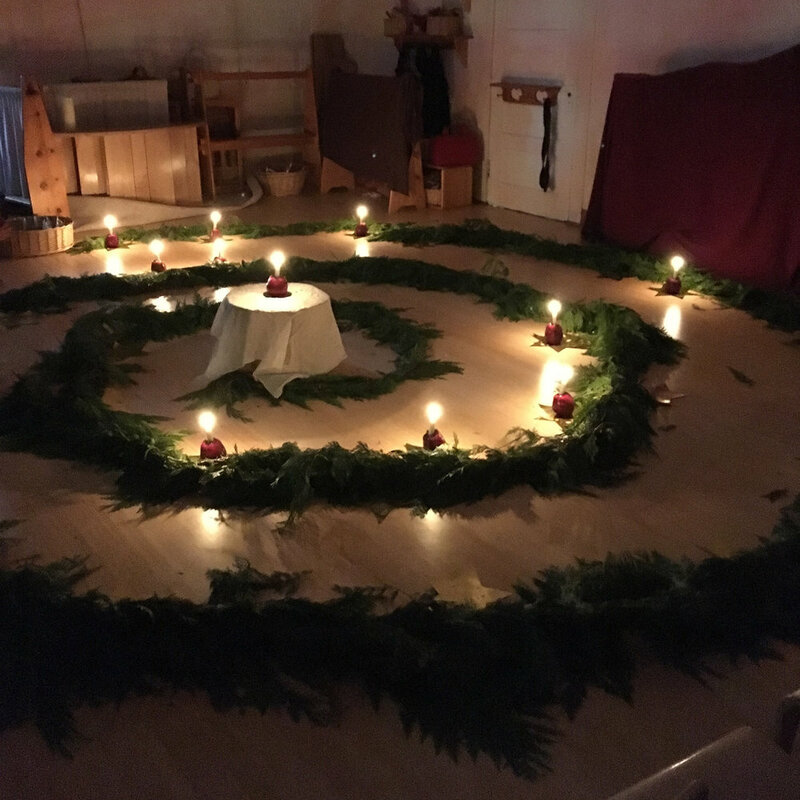 Our annual look at the warmth and light we enjoy in December at Madrona School…. 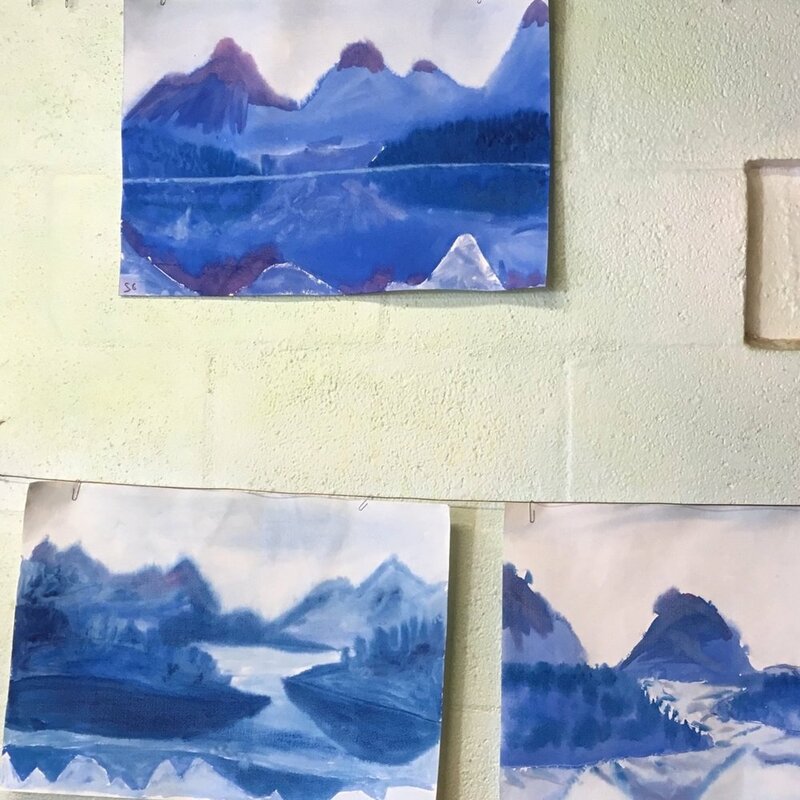 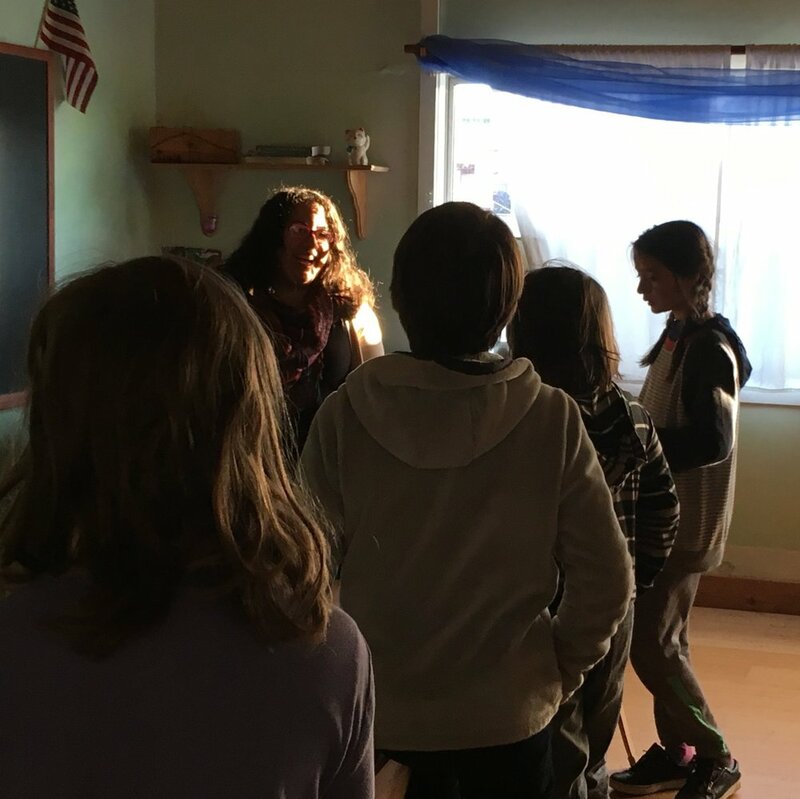 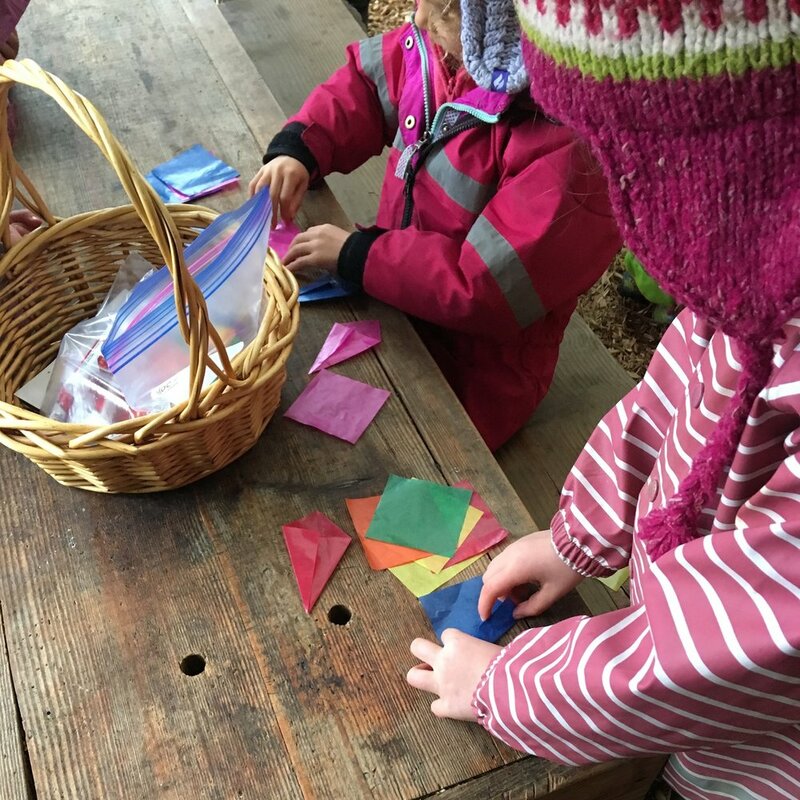 Here, as in all Waldorf schools, we cultivate a sense of beauty in our classrooms all year long, helping us all relax into learning and strengthening the important relationships between our teachers and our students. 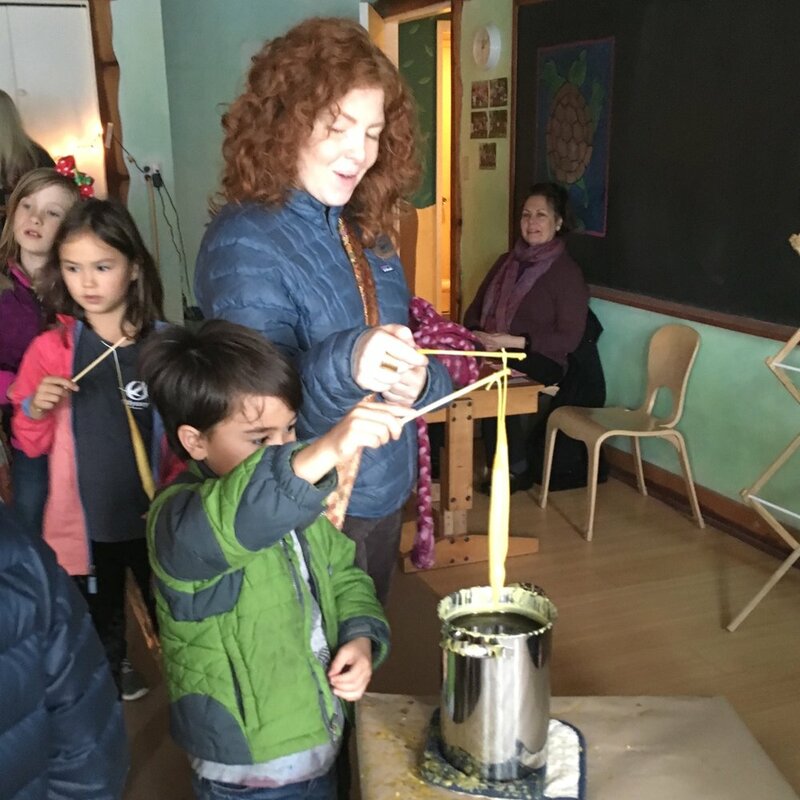 In many ways, this darkest time of year here in the Pacific Northwest offers just as much warmth and joy as the breezy, flower-filled days of spring or the comfortable mellow-lit afternoons of fall, as we deliberately create opportunities to celebrate. 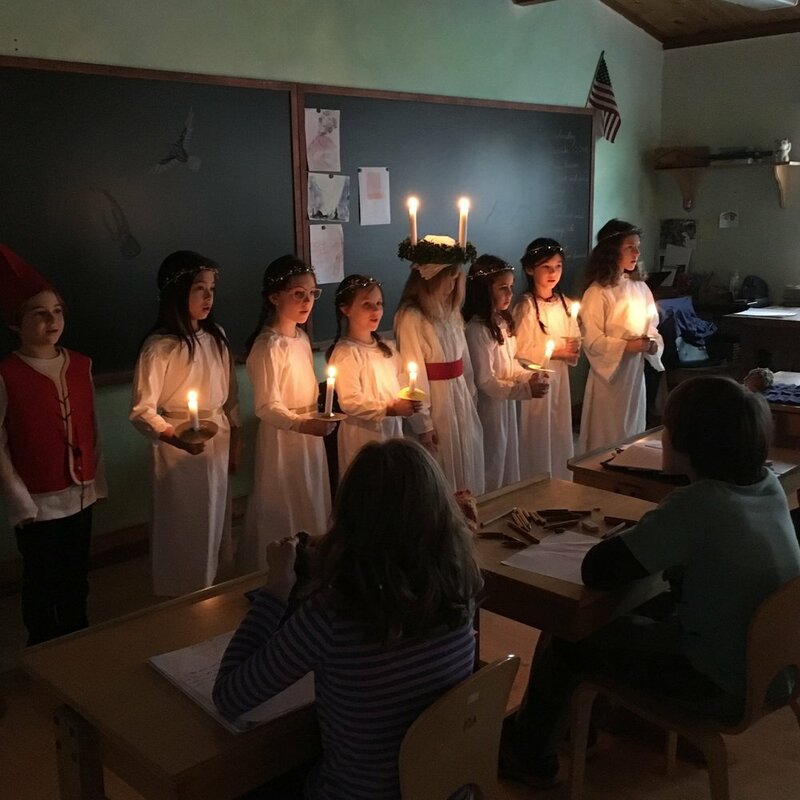 We light candles on menorahs and Advent wreaths, we sing seasonal songs from a variety of cultures as a whole school and in our classrooms, we play and walk outside even in the cold rain because we are all bundled up, we pour fun into Secret Santa gifts, we make seasonal crafts like beeswax lanterns and colorful window stars, we enjoy visits from Santa Lucia and St. Nicholas, and we hold at least two Spirals of Light….We hope you enjoy a glimpse into these celebrations! 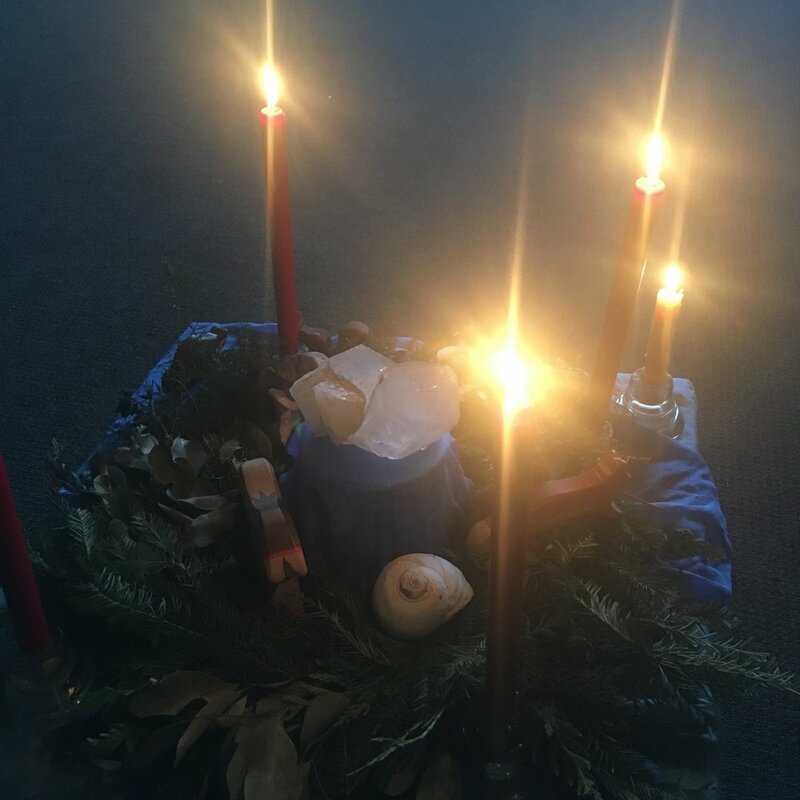 Wishing you a joyous season of light, however you celebrate. 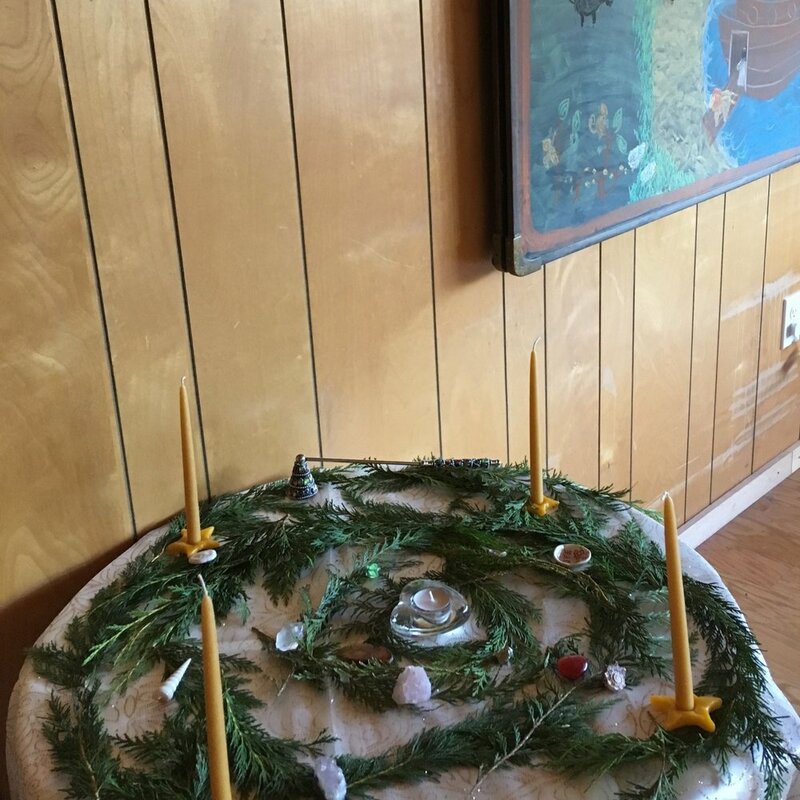 See you in the new year!